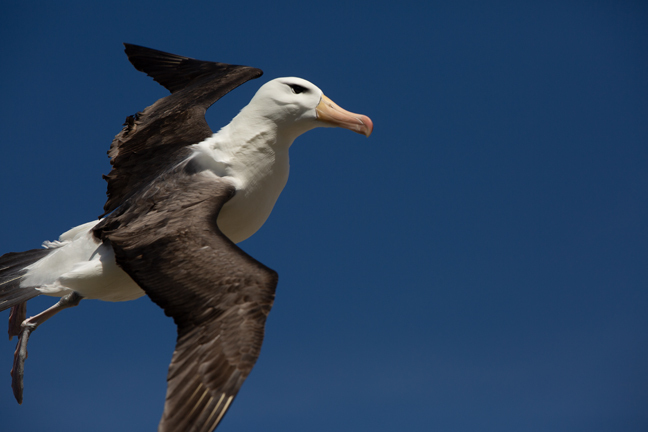 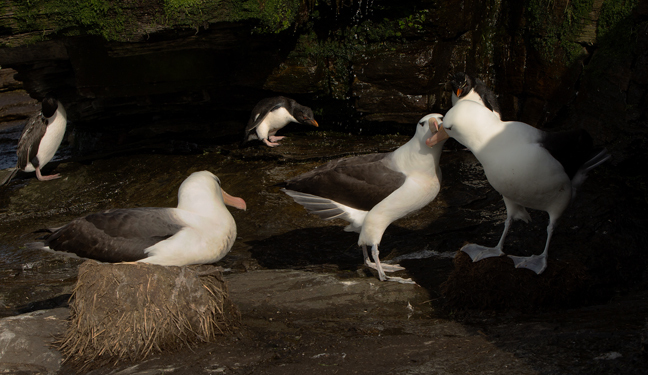 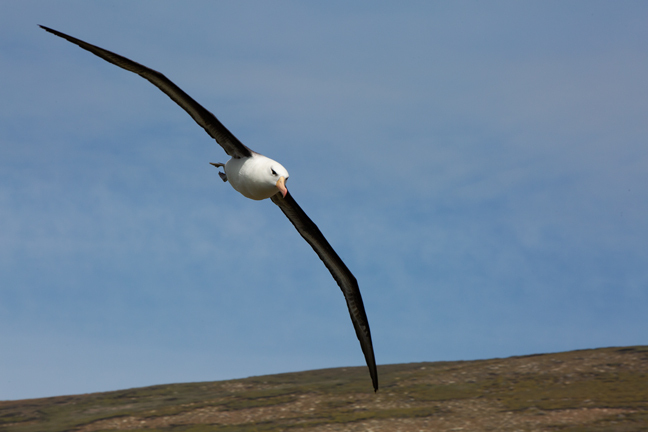 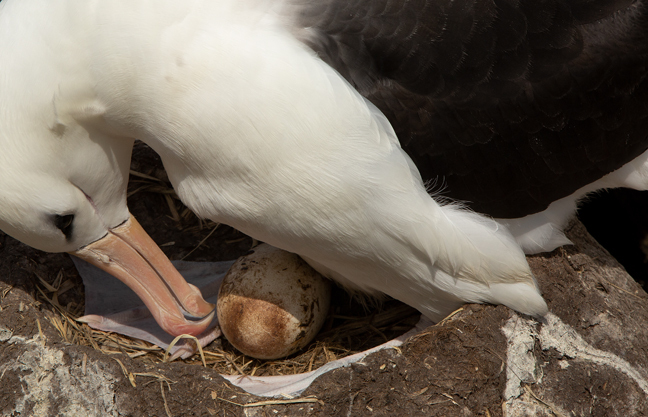 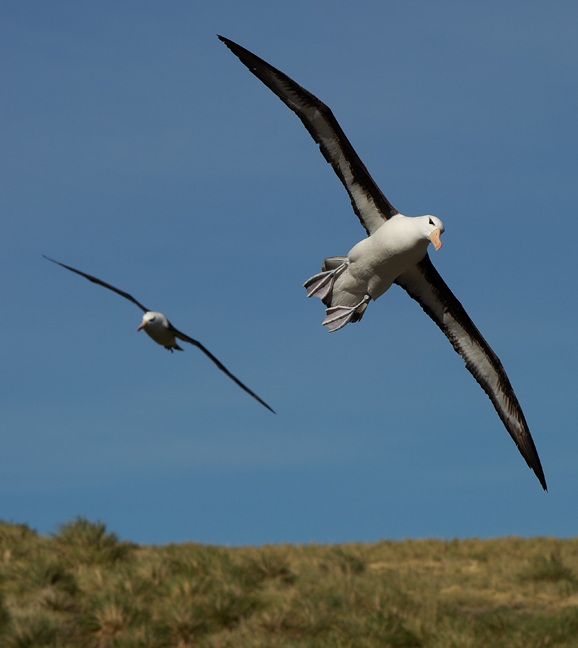 Black-browed Albatross (Black-browed Mollymawk) are circumpolar in the southern oceans and breed on 16 sites in the Falkland Islands. 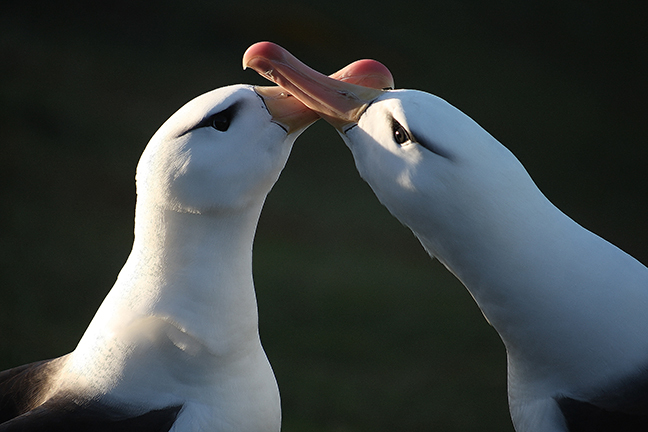 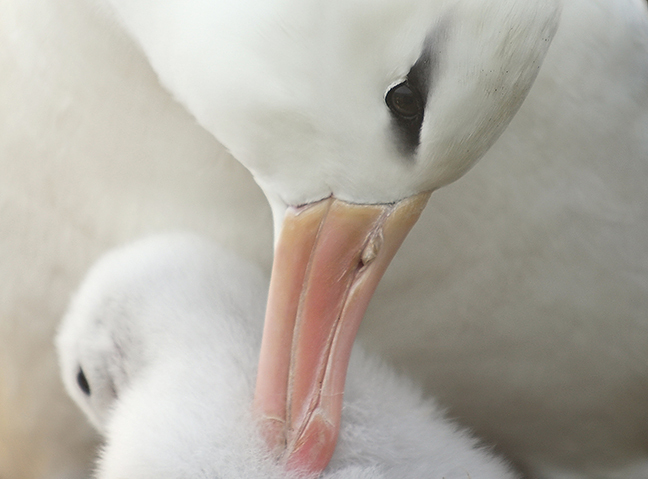 Adults pair for life and return to the same nest each September, staying until April. 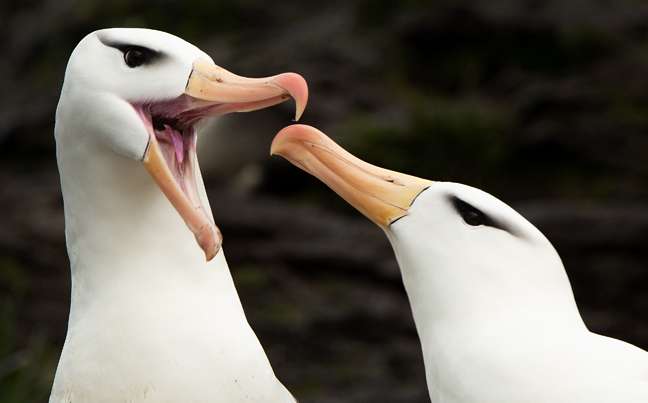 Seventy percent of the world population breed in the Falkland Islands. 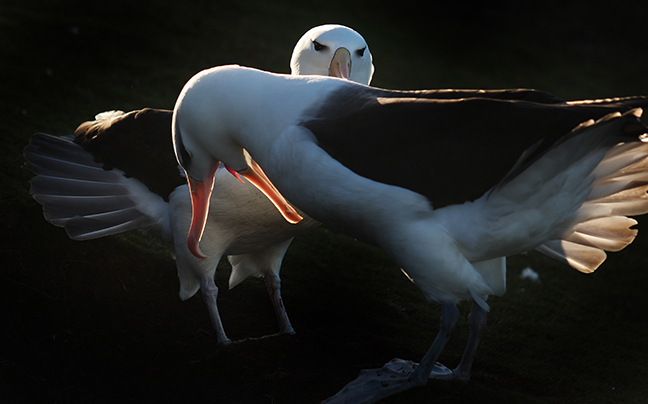 They are a colonial species that breeds annually. 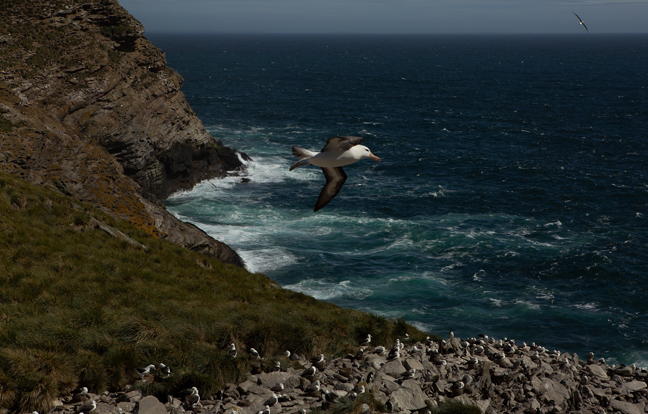 They feed largely in the Falkland Current on fish, lobster-krill and squid. 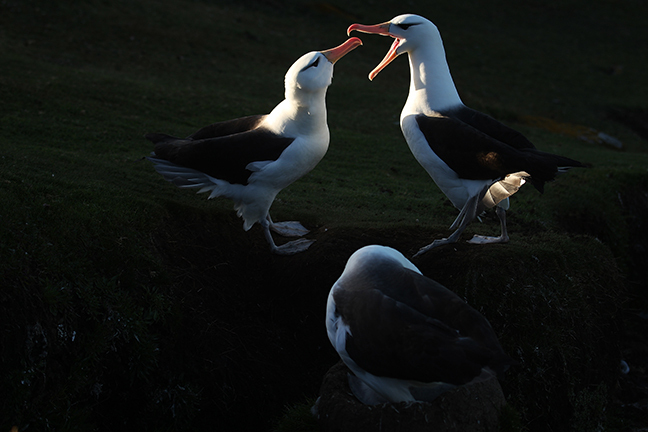 Fledglings are abandoned by their parents in April and disperse to southern Brazil. 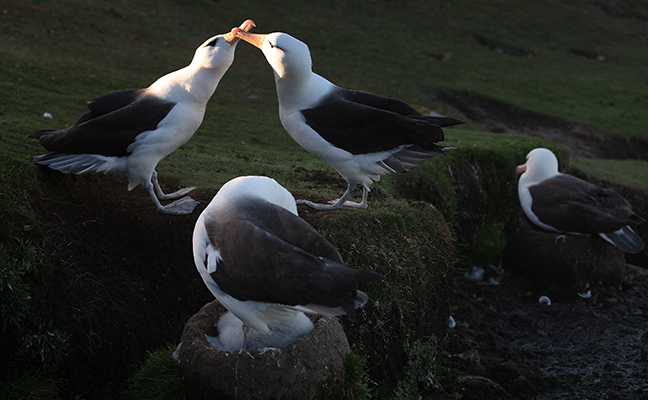 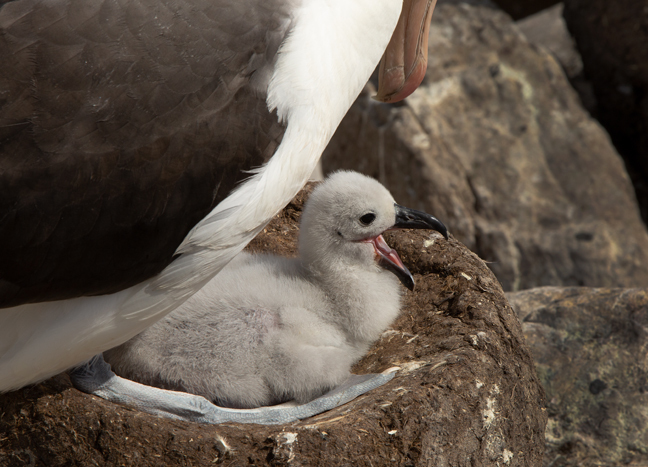 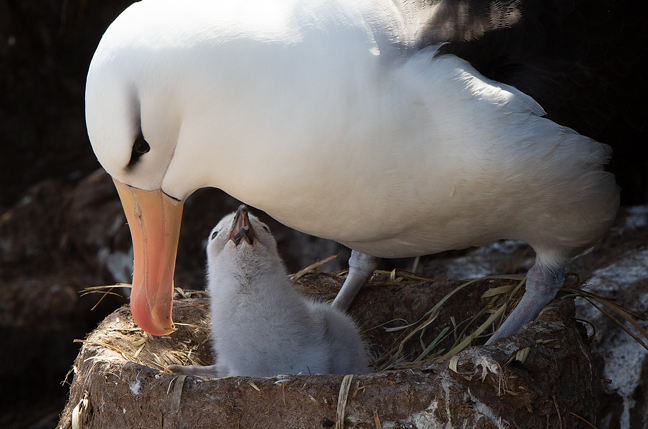 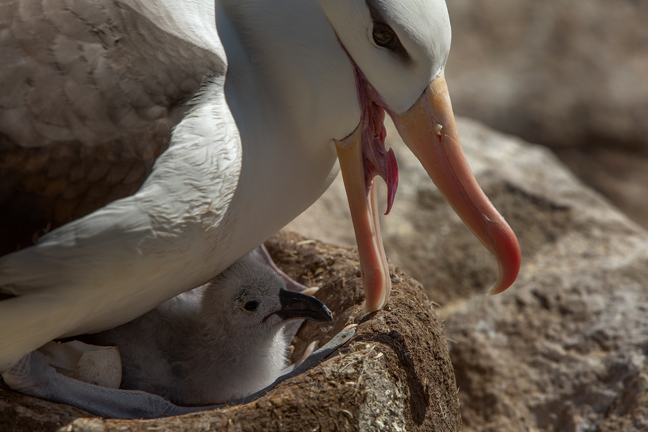 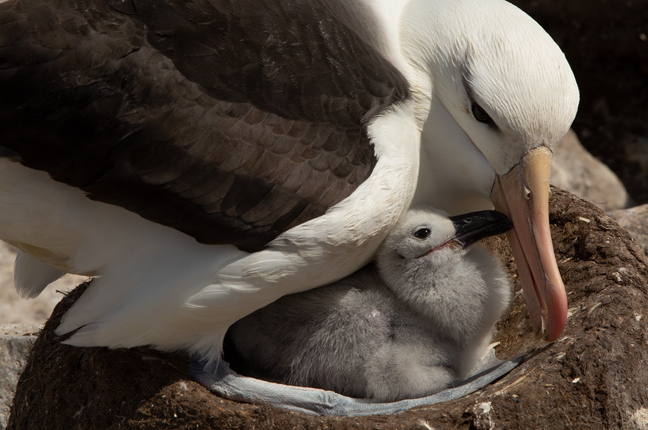 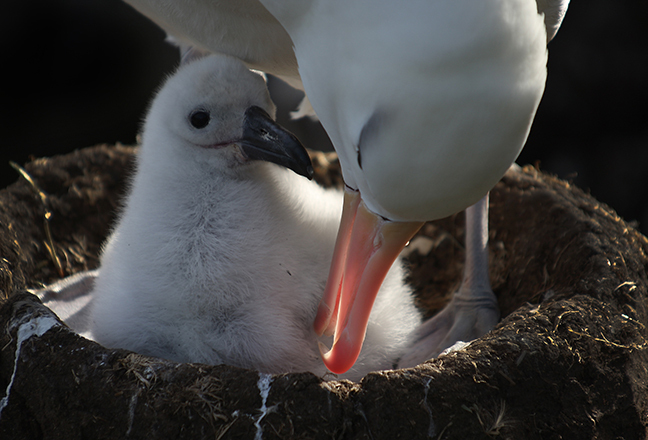 They return to the same colony to breed 7-10 years later and can breed until they are about 35 years old.